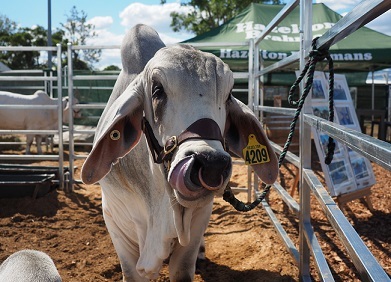 Rockhampton is identified as the Beef Capital of Australia due to its predominance in beef breeding, hosting the triennial BEEF Australia Expo, housing two of the nation’s largest cattle processing plants, location of the State’s largest livestock exchange and home to a number of key beef breeding associations. In addition, CQUniversity is one of only four Australian Universities to achieve the Commonwealth’s highest possible research ranking: Level 5. Well above world standard in Agricultural and Vet Sciences, and the only Australian University to achieve top ranking in the subcategory of Agriculture and Farm Management. CQ University is the highest ranked Agricultural research institution in Northern Australia and the only dual sector university (offering Agricultural studies from the Certificate level, to undergraduate to PhD) which is research-intensive Agriculture. The Deloitte, Positioning for Prosperity report, identifies the next wave of growth opportunities for Australia as being the “Fantastic Five” – agribusiness, gas, tourism, international education and wealth management. With favourable investment in these areas already occurring in the Capricorn Coast and Rockhampton Region, the region is poised for this next wave of growth. The Central Queensland region has the potential to become one of the nation’s premier supply and service centres for a broad range of agricultural product and produce. Central Queensland provides a natural choice for a diverse range of agricultural investments. Through the development of Eden Bann and Rookwood Weirs on the Fitzroy River the region can further the agricultural industry’s position as a major agricultural ‘food bowl’ to the region and beyond. The Rookwood Weir site is approximately 66 km south west of Rockhampton on the Fitzroy River and is proposed to be developed in two stages. The Lower Fitzroy River Infrastructure Project Environmental Impact Statement (EIS) process was completed and approved with conditions in February 2017. The independent assessment of the $352M Rookwood Weir proposal was made public in January 2018. Both the Federal Government and State Government have committed to support the construction of the Weir. At the 8 November 2018 Major Projects Forum, Mitch Carr (Project Director – Rookwood Weir) Sunwater provided an update on the Rookwood Weir and its opportunities. Download his presentation here. Queensland commodity outlook – a brief review of selected agricultural commodities in the region. National and international issues affecting the region – the challenges and opportunities for long term food demand.